My name is Porter. 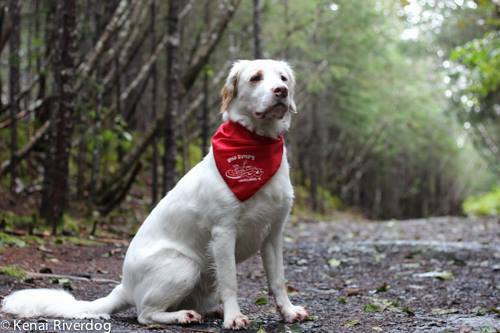 I am the top dog and awe-inspiring logo model for Kenai Riverdog. 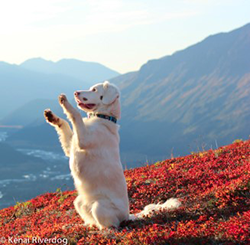 I have spent many years on the Kenai Peninsula, and I’ve loved every doggone minute of it. I hope that you will feel the same when you come to visit. I won’t be joining you on the river this year, due to my age and some health problems, but I will be there in spirit! 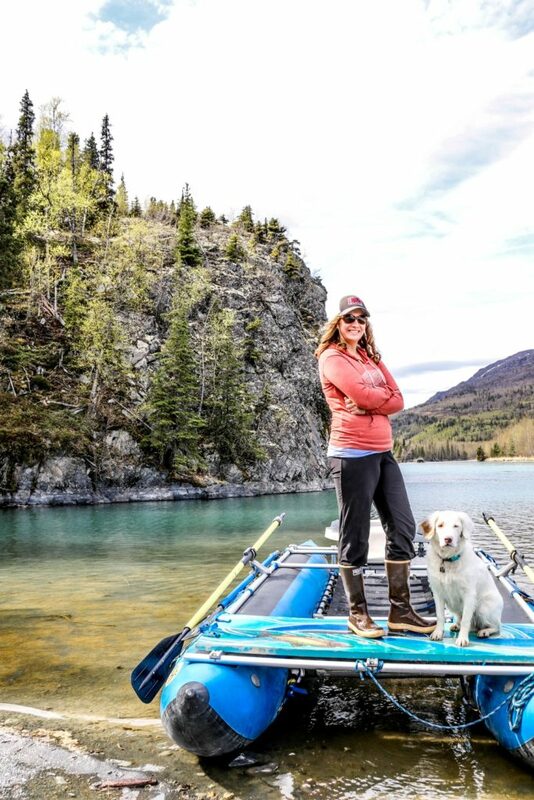 Kenai Riverdog is owned and operated by my mom, Kayce James. She has lived in Alaska since the summer of 2008 and she’s gained a wide variety of experiences during her time here. Her goal in life was to figure out a way to have a job that is enjoyable, and that doesn’t involve sitting in an office all day. What better way to spend summers than to help people experience Alaska and come to love it as she does. That, my friends, is how the company was born. Kayce firmly believes that some days there is nothing better than floating down the river with a few friendly folks. Since starting the company, it has gone through many transitions, but the quality of our trips are our highest priority! We will always have friendly guides, as well as offer floats with smaller group sizes. Our goal is to make you feel like your floating down the river with friends. Of course, you have to play your part too, by being friendly and open for adventure!